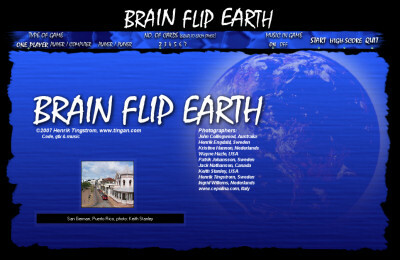 Brain Flip Earth, a new variant of the classic game Memory with pictures from around the world. You can choose between two up to seven cards which must be equal to each other. You can play against the computer (different levels), yourself or another player. High-Score-list. DirectX-sound.